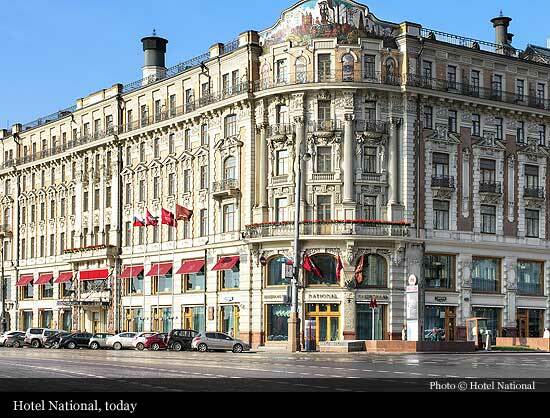 The National hotel was built by a famous Russian architect Alexander Ivanov, a member of The Emperor Academy of Arts, and welcomed the first guests in 1903. 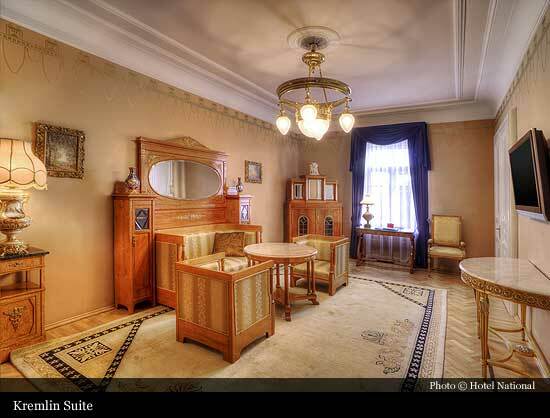 The construction cost nearly one million roubles, then a huge sum of money. 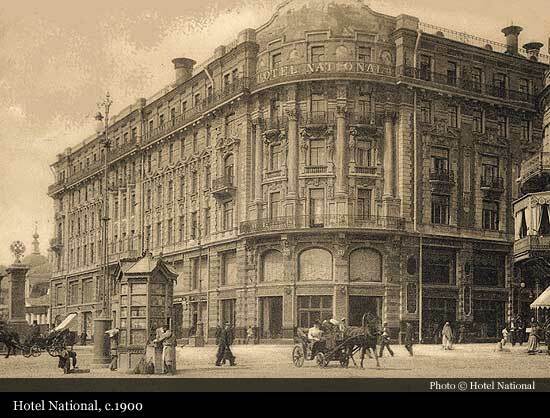 Very soon hotel National became extremely popular among Russian businessmen for its luxury, restaurants and its services: it was the only hotel in the city with elevators. 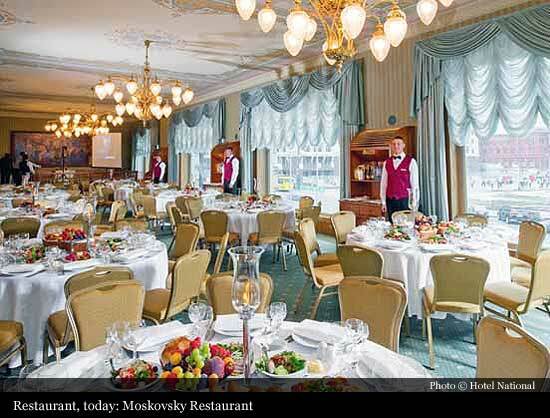 After the revolution in 1917, hotel became the First House of the Soviets and was the residence of the Bolshevik government accommodating communist leaders such as Vladimir Lenin. 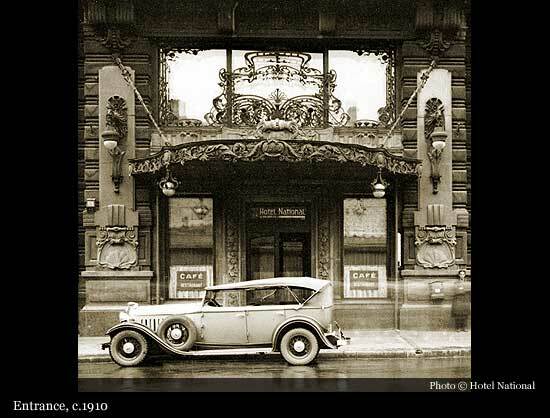 In the 1930's it was decided to start restoration work on the National as it had fallen into disrepair. 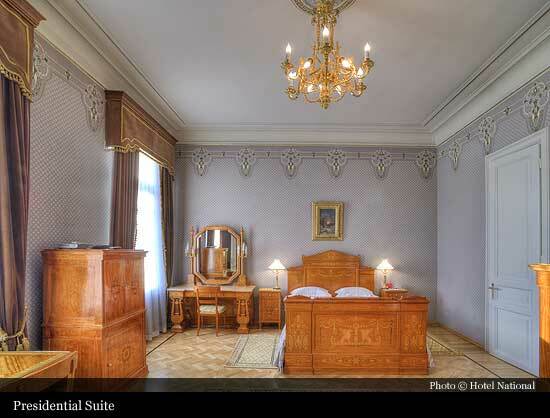 During this time the suites were decorated with artifacts from nationalised country estates of the gentry, palaces of the aristocracy and royalty itself. 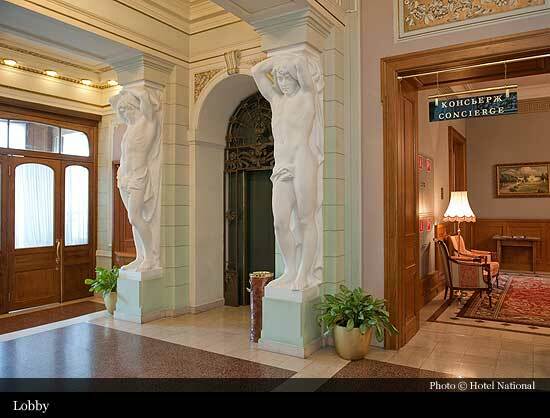 That is how the hotel came to possess museum quality furniture, paintings, and pieces of decorative art. 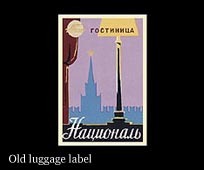 In 1991 hotel National was closed for renovation which took four years to complete. 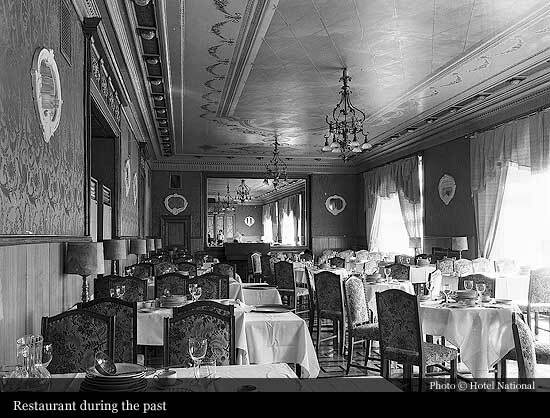 In May 1995, when it was open, it looked just as it did in 1903 but in fact it was quite a different hotel in terms of equipment and services. Now it has a state-of-the-art kitchen, the most up-to-date fire-fighting equipment, a sophisticated security system. 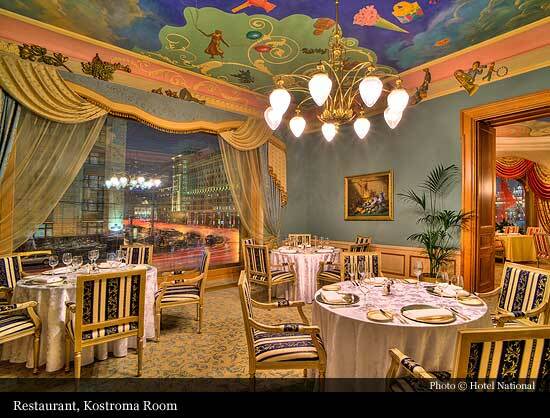 The level of hospitality in each hotel is reflected by its guests. Since the reconstruction was completed, the National's guestbook was enriched with the names of: President Jacques Chirac and Prime Minister Lionel Jospin of France. 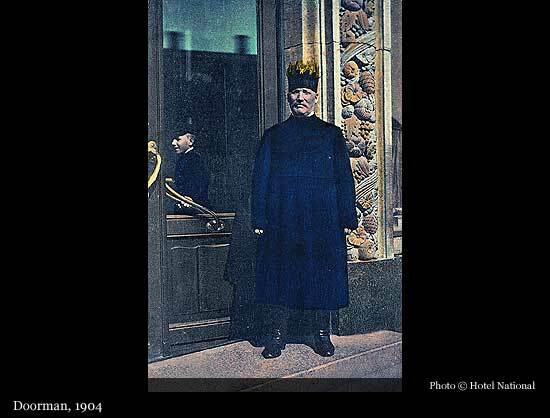 Spanish head of government Felipe Gonzales, President of Poland Alexander Kvasnevsky, American Secretary of Energy Francisko Pena, and many more leading politicians. Numerous stage and screen strars, Mireille Matthieu, Catherine Deneuve, Michael York, Pierre Richard and others, have also enjoyed the hospitality of the hotel. 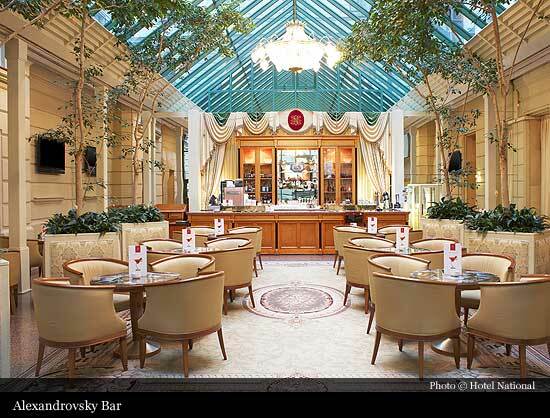 When signing the hotel's guest book, author Peter Ustinov called the National, « … a place of casually unexpected pleasures, where you can always feel the warmth of the human touch».